The best piston/rod combination on the market. Our lightweight pistons (1/3 lighter than stock) are forged aluminum, making them stronger than original cast aluminum pistons. The combination of lighter pistons with our longer lightweight rods makes for a much smoother and reliable ride whether you are cruising down the highway or pushing it to redline on the racetrack (demo video). We have worked with Carrillo Industries to develop a longer, lightweight proprietary rod. Several years of research, design, and negotiation with Carrillo has gone into our new rod’s production. The traditional bronze bushing in the small end of the rod has been eliminated and our .708 diameter pins use DLC (Diamond-Like Carbon Coating). This is on the extreme edge of racing NASCAR technology, as the tremendous loads these racers subject their engines to (9000 rpm for 600 miles of practice and racing) will deform and wear out the bronze bushings. Coating pins and eliminating the bushing solves this problem and is the only way to get a more dependable yet lighter weight steel rod. I have personally tested these rods beyond 8000RPM. Our new bushless 6.4″ length rod weighs only 105 grams on the small end (the end that causes vibration). The older version stock length (5.875″) Carrillo rod with bronze bushing weighs 138 grams on the small end. This amounts to a total pin-end savings (for 2 rods) of about 60 grams on the small ends (about the weight of a stock wrist pin). Note that aftermarket aluminum rods are also heavier on the small end than our proprietary rod. The CARR bolts are the highest quality and do not need replacing for the life of the rod (if not overtightened). Use original style shell bearings. Balancing is not required for Commando engines (balance info). Use stock ignition timing (compare weights). A) More power: The increase in power is a result of more dwell time at the top of the compression stroke, allowing more time for the fuel charge to burn completely and exert maximum force on the piston throughout the power stroke, This translates to more power for the amount fuel you burn. B) Less Vibration: More dwell time at the top and bottom of the piston strokes means less “snap” due to the pistons not having to stop and reverse direction as quickly and abruptly as they would with a shorter rod. C) Less stressful wear: The longer JS rod has less angle when traveling through mid-stroke than the short stock length rod. This means that less side forces are being applied to the cylinder wall – thus reducing friction, heat and wear. Reducing stress is very important for Nortons as they have a tendency break cranks & cases and vibrate everything to pieces. Our longer rod also reduces the side pressure that the piston exerts on the cylinder, causing power-robbing friction, and because of this helps the engine to run cooler and more efficiently. If you want a tight installation clearance of approx .003” then you must have us coat your pistons to avoid scuffing. Otherwise you will have to install a bare aluminum piston with more clearance because of the forged piston’s expansion rate (once the motor warms up the extra clearance disappears). All our pistons are dimensioned for an exact 73mm 73.5mm 77mm 77.5mm bore etc. 81mm pistons and race bikes without break-in will need half a thou more clearance. JS Motorsport pistons have a shorter deck than stock, so require our longer rods. COMPRESSION SPECS BELOW REFER TO UNMILLED HEADS WITH A .120″ STEP AT THE SQUISH BAND. Our Medium Compression 750 pistons are stock height with approx stock 8:7 C.R. and will accept standard size as well as 3mm oversized valves. A drop in kit with no modifications necessary. Our High Compression 750 pistons have the deck height raised .050″ for a compression ratio of approx 9.5:1. These High Compression pistons will drop right into your stock street motor if your head has not been milled, leaving a squish band clearance of approximately .050″. All our Racing/High Compression pistons have deep valve pockets to accommodate big-valve heads using up to 5mm oversize intake and 3mm oversize exhaust valve, as well as stock diameter valves. Our Medium Compression 850 pistons have stock compression of approx 8.5:1 with shallow valve pockets to allow the use of our pistons with a milled head. They will accept standard size as well as 3mm oversized valves. The deck height is raised .020″ higher than original 850 pistons. A drop in kit with no modifications necessary. Our High Compression 850 pistons have approx 10.5:1 C.R. with the deck height raised .110″ higher than the original 850 piston. 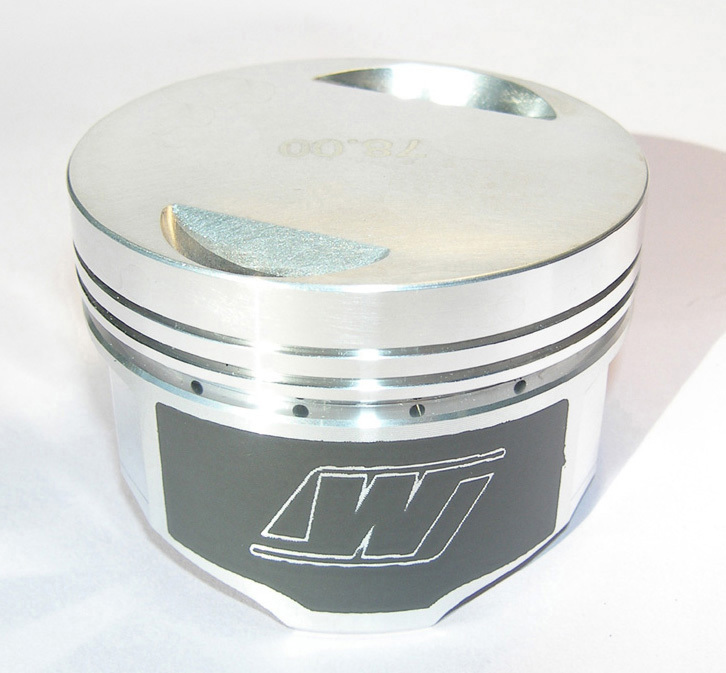 These High Compression pistons will drop right into your stock street motor if your head has not been milled, leaving a squish band clearance of approximately .050″. All our Racing/High Compression pistons have deep valve pockets to accommodate big-valve heads using up to 5mm oversize intake and 3mm oversize exhaust valve, as well as stock diameter valves. You can adjust compression with our various copper base and head gaskets (compression info). Our Medium Compression 920 pistons have approx 9:1 C.R and come with shallow valve pockets to allow the use of our pistons with a milled head. They will accept standard size as well as 3mm oversized valves. A drop in kit with no modifications necessary with unmilled head (not necessary to enlarge the combustion chamber unless the head is milled). Our 920cc High Compression pistons have approx 10.3:1 C.R with recessed crown (page down for photo). 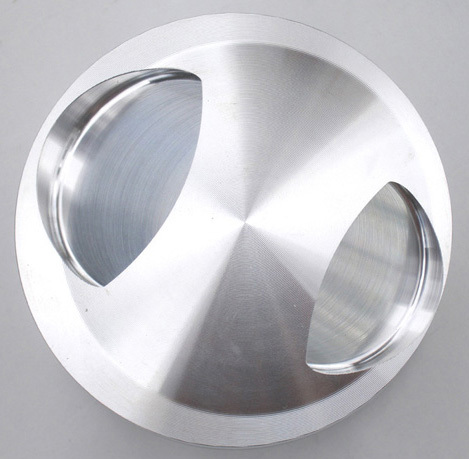 Modification of your head’s combustion chamber will be necessary to fit the larger diameter Hi C.R. pistons. 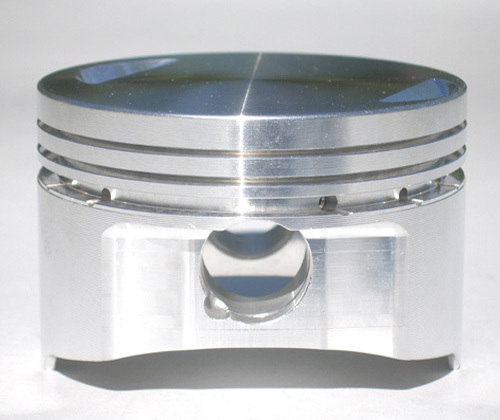 These High Compression pistons will drop right into your stock street motor if your head has not been milled, leaving a squish band clearance of approximately .050″. All our Racing/High Compression pistons have deep valve pockets to accommodate big-valve heads using up to 5mm oversize intake and 3mm oversize exhaust valve, as well as stock diameter valves. Use JS copper head gaskets to adjust compression. Extra high compression 81mm flat top pistons with 11:1 C.R. and tight squish band are available on special order (contact us). Because of the large displacement, you can order High Compression up to 12:1 with flat top pistons. To lower compression below 10:1 you must special order thicker head gasket or special order recessed pistons (page down for photo). All our Racing/High Compression pistons have deep valve pockets to accommodate big-valve heads using up to 5mm oversize intake and 3mm oversize exhaust valve, as well as stock diameter valves. Modification of your head’s combustion chamber will be necessary to fit the larger diameter Hi C.R. pistons. You can raise compression of our Hi C.R. flat top pistons approximately one point. For example – from 10:1 to 11:1 for racing by using our thin .003″ head gasket ring or milling your head .040″ and cutting a step to clear the squish band (see diagram). Domed pistons designed to fit standard and big valve heads and give approx 11:3:1 C.R. for 750 long strokes and 750 short strokes(short strokes see below). 850s will have approx 12.5:1 C.R. for alcohol only unless combustion chambers have been enlarged with big valves etc to at least 51cc (approx 12:1 C.R.). Beware that over 12:1 C.R. will create too much heat on gasoline. Fits stock heads with no machining required except that bores greater than 78.5mm will need larger diameter combustion chambers. All our Racing/High Compression pistons have deep valve pockets to accommodate big-valve heads using up to 5mm oversize intake and 3mm oversize exhaust valves as well as stock diameter valves. Big valve heads may have different size combustion chambers. Large displacement 920s and up do not need domed pistons because the C.R. would be higher than 13:1 (OK with alcohol). In the photo below you can see the underside of the dome is milled 3 dimensionally for consistent thickness. This gives an even distribution of material and keeps the weight down to the levels of our regular lightweight flat topped piston. The extra machining raises the cost. It is assumed that every race engine builder will check and set piston squish band, and valve pocket clearances. Heavily milled heads often require machining to clear the squish band or use thicker copper base or head gaskets (compression info). 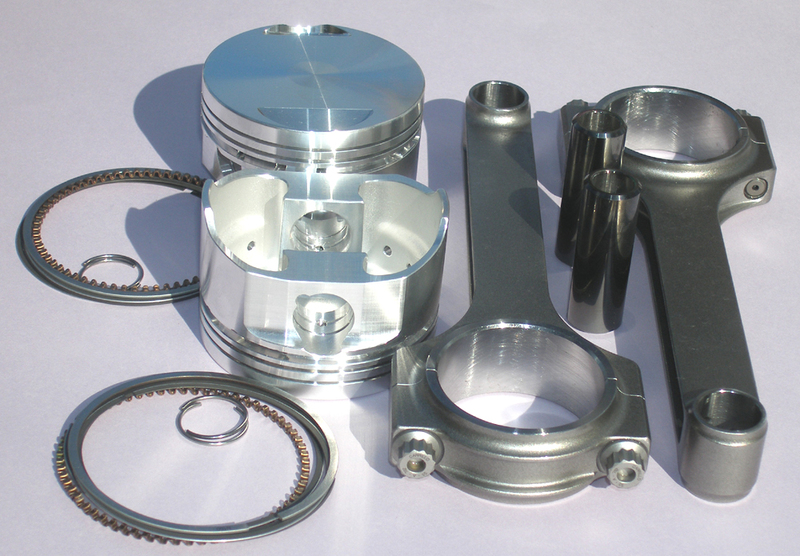 However, no special machining or modifications should be necessary when using our pistons with a stock Norton head except that bores greater than 78.5mm will need larger diameter combustion chambers. It takes something special to get the compression high enough for a racing 750 short stroke. 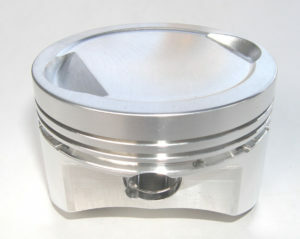 77mm Flat top HI CR pistons. 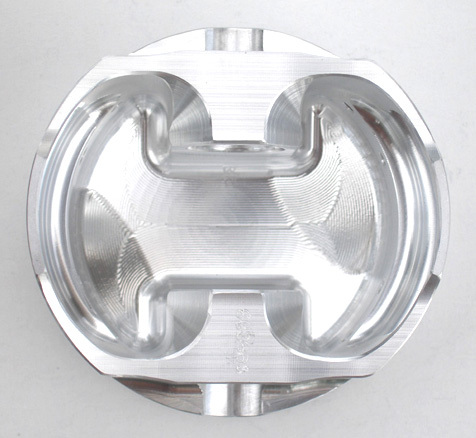 Use .003″ head gasket ring and cut piston crown periphery approx .040″ to get 10.3 CR with stock unmilled head. 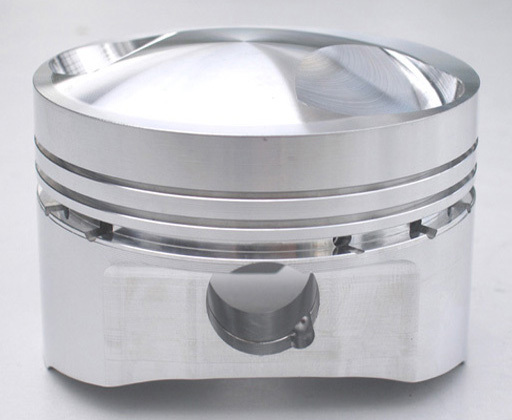 77mm domed pistons give approx 11.3:1 CR with stock head – NO MACHINING NECESSARY. Big valve heads may have different size combustion chambers. 81mm bore x 80.4 short stroke (840cc) will give approx 12:1 C.R. with domed pistons & stock head. Large diameter 81 or 83mm pistons with a tight squish band can have too much compression for the street unless you recess the crown as in the photo below. Contact us to special order. The photo below shows a used piston after a season of racing. There is minimal wear on the skirt and no evidence of wear or rocking at the top of the piston.